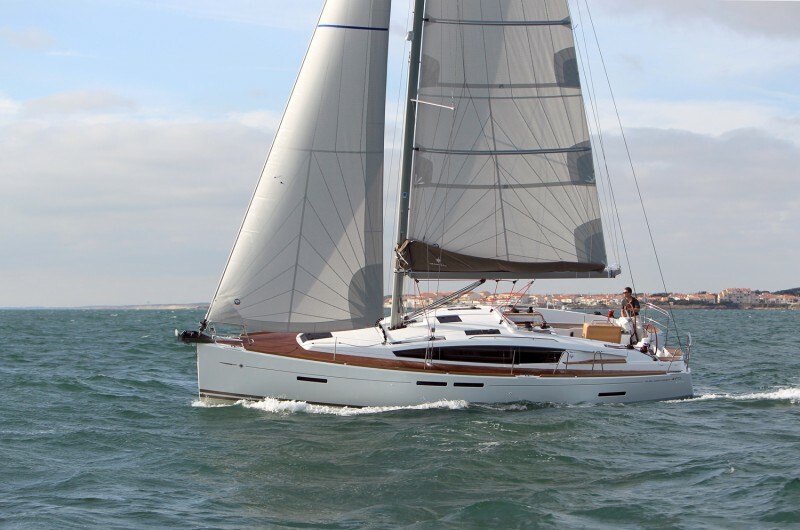 Designed for relaxation and comfort, the Sun Odyssey 41DS also delivers the thrill of responsive sailing. A spacious owner’s cabin aft features a private head and shower compartment and plenty of storage for life on board, offering owners all the luxury of a 45-foot sailboat. Forward, a VIP guest cabin with private head compartment provides guests with the privacy and comfort of home. Whether cruising, living aboard, or entertaining friends, you will find functional and aesthetic design in every detail.